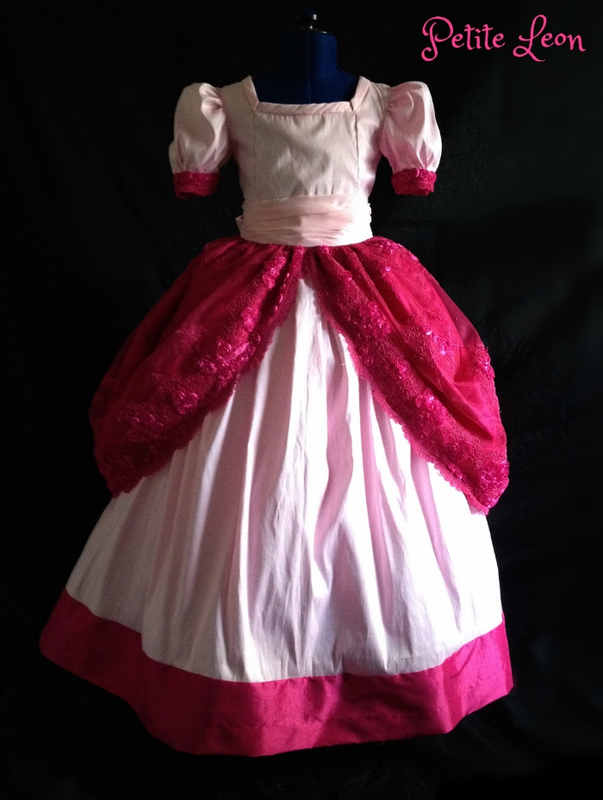 This dress will be made from a baby pink faux dupioni. 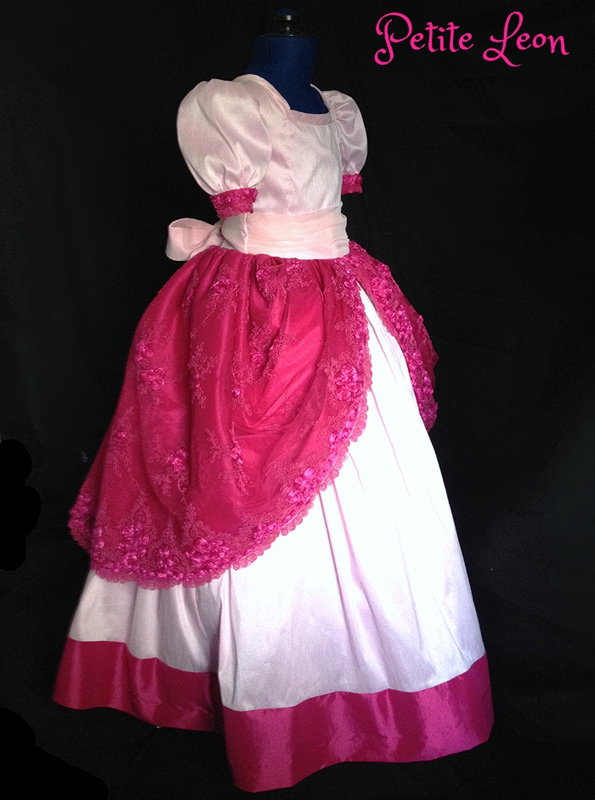 With an overlay of fuschia embroidered organza over possibly fuschia colored cotton or taffeta. The puff sleeves will have a cuff with button closure. Alterations to petti coat will be made to fit the childs sizing. This dress is serged at all seams, following a single stitch at all seams as well. 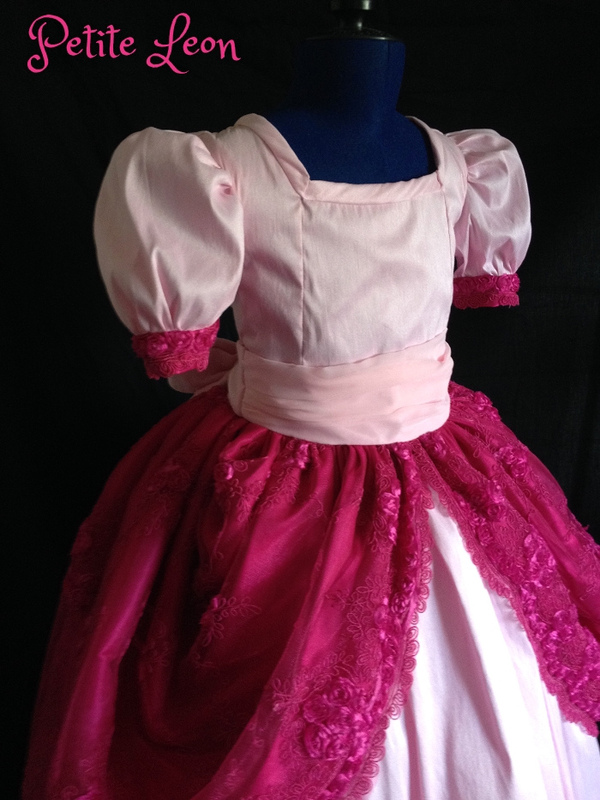 The bodice is lined with a 100% cotton fabric for your childs comfort. This dress will be made according to your measurements (Child sizes 2-8 ONLY), please be sure to contact me with more details on how to measure yourself.